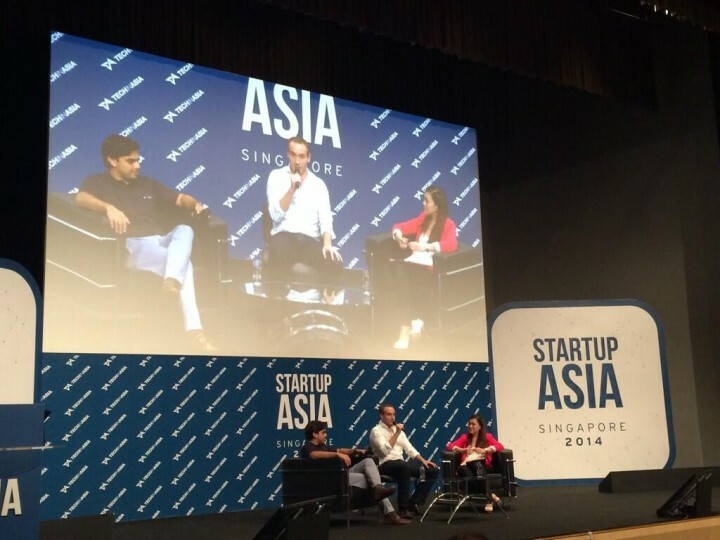 Roger Egan and Vikram Rupani, the co-founders of RedMart, a Singapore-based online grocery service, gave an honest account onstage at Startup Asia Singapore 2014 of their startup journey so far over the last three years. They revealed that RedMart has been growing 20 percent month over month, but that they still have some way to go in conquering the $5.9 billion online groceries industry in Singapore. When questioned about their future plans 10 to 20 years down the road by Vanessa Tan of Tech in Asia, who interviewed them on stage, Egan explained that their vision is to be the biggest and best ecommerce company in Asia. Tan was quick to point out that he said the general word “ecommerce” rather than groceries specifically, prompting Egan to reveal that there’s the possibility that they would move on to other products. (See: Facebook co-founder joins online grocery store RedMart’s $5.4 million funding round) Their focus right at the moment though, is on making their current product offerings great. Rupani conceded that expanding to other countries might be a possibility in the future, but only after they have captured the Singaporean market in its entirety. With respect to this focus, the co-founders revealed that they are looking to raise a series B funding round now, but were tight-lipped on the exact numbers. Egan, however, did not rule out the possibility of yet another oversubscribed round. So far, all of RedMart’s funding rounds have been oversubscribed.